How to Subscribe VPository from Visual Paradigm? 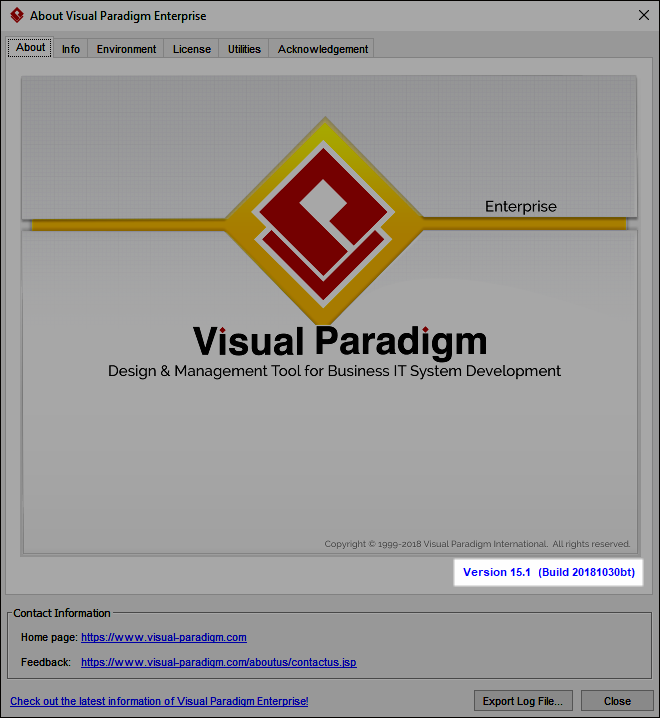 Visual Paradigm Online provides a cloud-based repository that stores your team's projects. Read the steps below to learn how team members can collaborate with each other through connecting the desktop version of Visual Paradigm to Visual Paradigm Online. Run Visual Paradigm and read its version number from the About window (Help > About). Make sure it is 15.2. If you are running an earlier version, please consider upgrading to version 15.2. If your software maintenance has expired, please renew it to enjoy the upgrade. For first time users, select Team > Select Repository from the toolbar. If you have already connected to a server, select Team > Utilities > Logout first, and then login again. 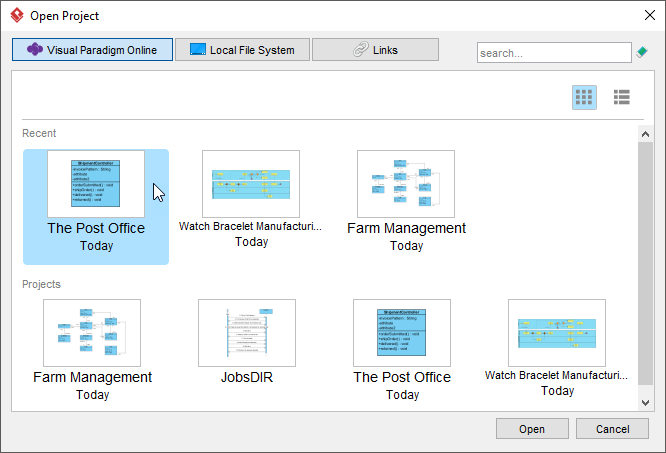 Open a web browser and log in to your online workspace. Click on your name at top right of the dashboard and select Administration from the popup menu. 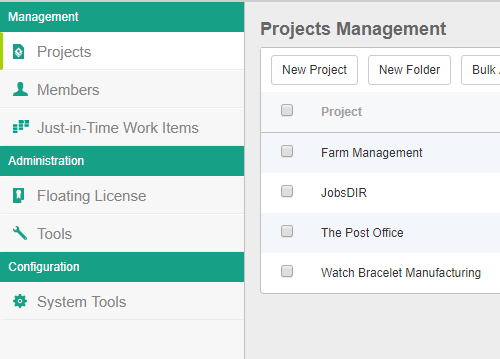 Manage your team and the projects from the Projects and Members page that can be opened from the left.